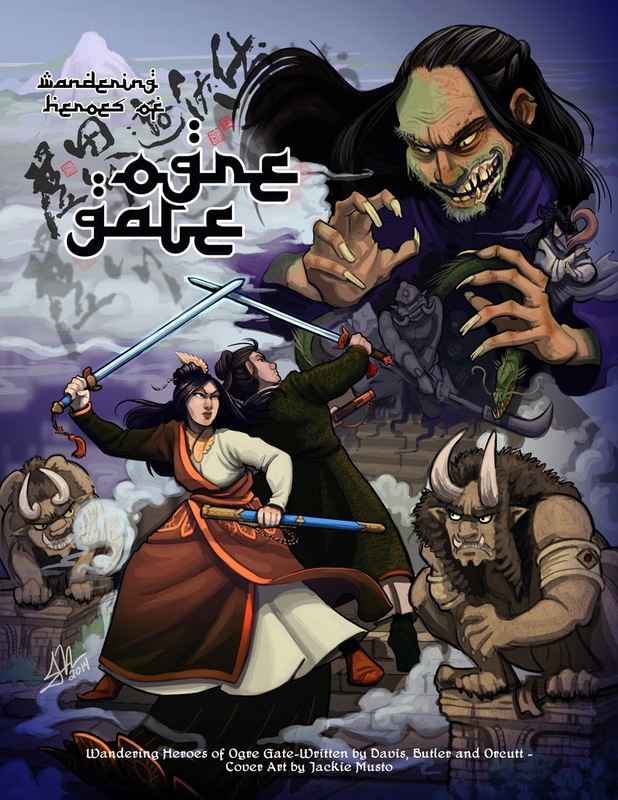 As I've mentioned here, Wandering Heroes of Ogre Gate is inspired by both wuxia films and television series. Wuxia movies are relatively easy to find and view. Most people have seen at a least a few without even realizing it. But the television series can be a bit daunting if you are just getting into them or have never seen one before. One of the best places to go for information and articles on Wuxia Television series is Wuxia Edge. I highly recommend checking it out. Just skimming through the posts there should give you an idea of what series might appeal to you. They have a recommended series panel there that is quite helpful. 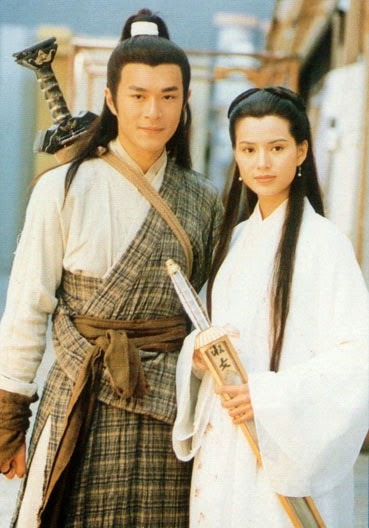 There are also regular articles covering different aspects of wuxia series. One of the things that can things confusing at first is most series have been re-made many times. For example Return of Condor Heroes (which is just part II of a three part series) has been done something like seven or eight times since 1976. Another one was filmed this year and scheduled for release in 2015. Again a place like Wuxia Edge is a good resource for navigating some of this and deciding which version of a series to watch. They occasionally do articles comparing clips. Here is one that compares Legends of Condor Heroes 2008 with Legend of Condor Heroes 2003: LOCH Comparison. Another helpful website if you are trying to track down some wuxia series is Viki.com. Viki has television programs and movies from places like Korea, China, and Thailand with English subtitles. We have long been trying to find a way to make internal energy duels possible in Wandering Heroes of Ogre Gate. 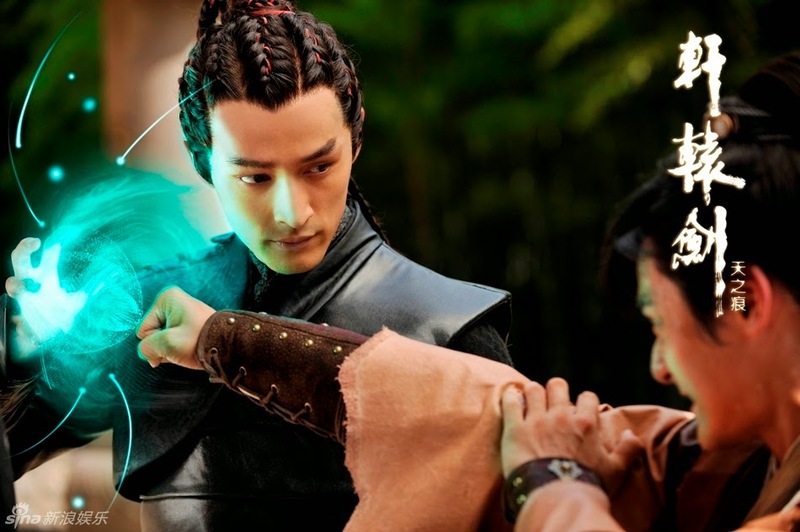 In wuxia films and series characters are able to harness and channel energy called Chi or Qi. A common convention is for two masters to stand-off as their energies collide. We wanted to incorporate this into Ogre Gate but it just proved difficult mechanically. Everything we did was too complex or didn't quite fit with our Kung Fu Technique system. Sometimes adept practitioners of Neigong will find themselves locked with one another in a duel of Qi energy. When this occurs they must focus and channel their energy against a foe, who does the same. Each moment that passes without one overpowering the other, causes the energy to build between them. The loser of such a duel is struck by the Qi energy generated during the duel. A Qi duel can occur in one of two ways. The first and most common is a willing engagement between two martial heroes who each decide to use a Neigong technique that generates a Qi blast at the same time. This only happens in normal combat if two characters attack at precisely the same moment, otherwise it occurs in formal Qi Duels. Also there can be no more than one rank disparity for a duel to be initiated (when the gulf between opponents if greater than 1 Qi Rank, then powers function normally and there is no need for a duel). The second way it can occur is when one character makes a Neigong energy attack and another uses a Neigong counter that states it triggers a Qi Duel. Each participant prepares to roll 1d10 per rank of Qi. If your Qi rank is one less than your opponent you take -2d10 to your roll. If your Neigong rank is lower than your opponent you take another -1d10 to your roll. Both now make their rolls and compare results, with the person rolling highest achieving victory. If there is a tie see the final paragraph of this section. If the victor wins by Normal Success he unleashes an enormous blast of energy against his opponent doing 1 Automatic Wound per rank of Qi (combine both combatants Qi ranks together for total). If the victor wins by Total Success, he unleashes an even greater blast of energy, doing 2 additional wounds to the target. Ties: Each tie that occurs means neither side has overpowered the other, but they both keep contributing to the overall power level of the energy forces generated. Every round this occurs adds 2 Automatic wounds to the final Total. Made these for Saturday's game because we had a Gru Player Character in need of something blunt and hefty. *Can be used as a blunt or as a sharp weapon depending on which end is employed. This was the first session of a new campaign set in the Vaaran Kingdoms. Told to contact his uncle, Hamil Kar-Harba the brother of the King, at the Four Taverns in the town of Shahr-Tel, Gaius went there with three companions: Dreckergael, Garoff and Uloff. Upon arriving in Shar-Tel, Dreckergael noticed a hooded dwarf following them. He dipped around a corner and waited taking the man by surprise. Dreckergael tried to grab the dwarf but missed, so his opponent stabbed him. Because this caused two wounds, Dreckergael (who has a Flaw called Subconscious Caster) transformed into a bird and flew away. Seeing Dreckergael’s belongings had fallen to the ground the dwarf picked those up. He also raved in the streets about demonic sorcery and the rest of the party went to the Four Taverns Inn. They took a table and found the food quite expensive. They also spotted the dwarf enter and order some drinks. Hamil desired the Pillar of Druba, an ancient relic from nearby Nong Sai ruins said to contain the last words of the Ogre King Dosikan. However the ruins are vast, part of a great ancient city called Tongasha. Finding the pillar without knowing its location is nearly impossible. As luck would have it, Hamil heard through one of his men that Darios Tyrna Maorides (A Castle Lord) had recently abducted and imprisoned an elf named Mangrai, who lived in the final days of Nong Sai and was also the royal architect. Hamil asked the party to rescue Mangrai and convince him to show them the the way to the pillar. If they returned with the Pillar of Druba he promised 4,000 silver. Before leaving Garoff asked Hamil to detain the dwarf for them so they could retrieve Dreckergael’s belongings. The ogre went downstairs and brought the dwarf back unconscious. When Dreckergael returned they interrogated the dwarf and learned he was an agent of Drecker’s enemy Goresios Maorides (another Castle Lord). They threatened him and seemed to secure a promise for more information about Goresios down the road. After leaving the Inn the party went to Tyrna Hauch and its village, Glaver. There they met the Eparkos and Gaius said he was there to inspect defenses on behalf of the king. Because he is the nephew of the King’s brother, it was convincing enough to get him an audience with Darios Tyrna. But first they stayed the night in the home of the Eparkos. Because he is more at home in the open air, Uloff stayed outside and heard a horrible sound coming from the castle during the night. Like a great bull howling. In the morning they convinced Darios Tyrna they were simply inspecting on behalf of the king. Because Darios considers himself incredibly loyal to house Hanno, he accommodated them and freely told them that he had Mangrai imprisoned in a nearby tower. He even gave them access to the tower and allowed them to speak with Mangrai. In the course of their investigation the party learned that Darios Tyrna was obsessed with Nong Sai and trying to find the Pillar of Drabu himself. However he wanted it for sentimental reasons, remembering his mother tell stories about it as a child. He purchased Mangrai from a Caelan senatorial family who fled their homeland because of the civil war. Darios Tyrna found Mangrai difficult and couldn’t get much information from him. He took what little details he was able to extract and ventured to the Tongasha ruins. While there something happened and Darios (who they discovered was also a Sertori) overused his magic and turned into a Minotaur. The sounds at night were from him changing form. Investigating further they learned that many villagers had gone missing recently and that Darios’ master builder had been scorched by the minotaur’s breath. Researching Minotaurs, the party decided that Darios needed to be killed. They went through many possible methods but settled on talking Mangrai into showing them the way to the pillar and convincing Darios to go with them. To do this they promised Mangrai to return him to Caelum and he agreed. Darios was so enthused that they found the pillar’s location he happily went with them. The trip was largely uneventful thanks to the party having three hunters in the group. They made their way to Tongasha but happened upon some tar pits before reaching their destination. There they formed a trap upon the pits, concealing them with branches and foliage. Then Giaus cast the Pestilent Smile of Tiresias on Darios. This served two purposes. First it would cause unnatural euphoria making any minotaur transformations unlikely (as those were apparently triggered by anger). It also allowed them to lead Darios into the trap fairly easily. Because he was under the influence of the spell, when he fell into the tar pit Darius was oddly at ease and calmly suggested his friends give him a hand. They let him sink and left the area immediately. When we originally started Wandering Heroes of Ogre Gate it was intended to be small, just a little martial arts variation of Sertorius. As we worked on it, the system and setting grew. Despite this we had intended to keep it lean and refer back to Sertorius for key rules. Recently we changed out minds. Now we want Ogre Gate to be playable on its own. It is still free, still going to be released as something of a work in progress but will be bigger than anticipated. Now we are expecting it to be about 150 pages or so (possibly a bit more). While having the Sertorius Rulebook handy will help you go deeper into the system, you should be able to run Wandering Heroes of Ogre Gate using just the free PDF. Toward that end we revised and re-organized the manuscript, making it much easier to navigate. We are also adding more text to sections because we are no longer assuming familiarity with Sertorius. Presently we are also deciding whether to make it pay what you want or free. Most likely free but the advantage with pay what you want is we could use that as a basis for more Wandering Heroes of Ogre Gate. 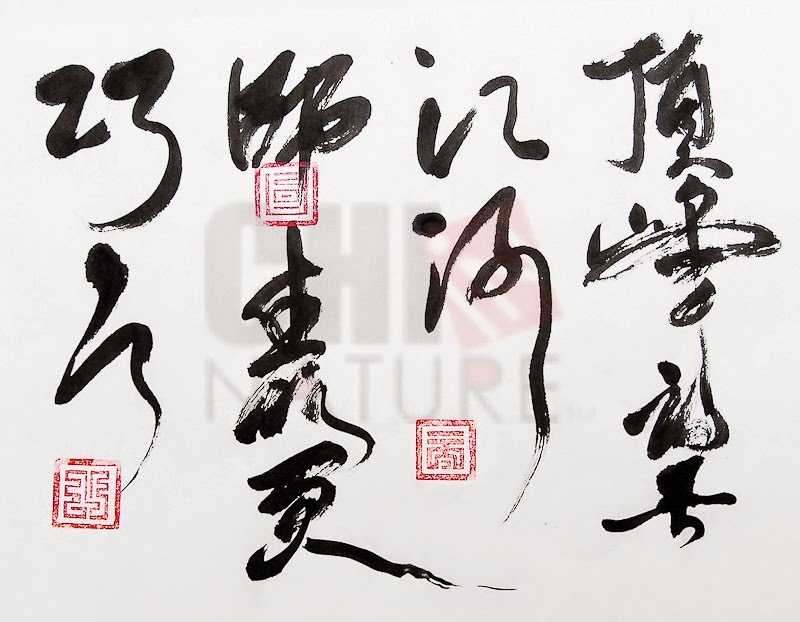 Chinese Calligraphy is not the same as writing Chinese, but a form of art to express more than what the words are about. In a piece of calligraphy work, you can not only see, but also hear, feel and sense the message that the artist embedded into the artwork. That is what makes it a calligraphy artwork, and not just a piece of writing. 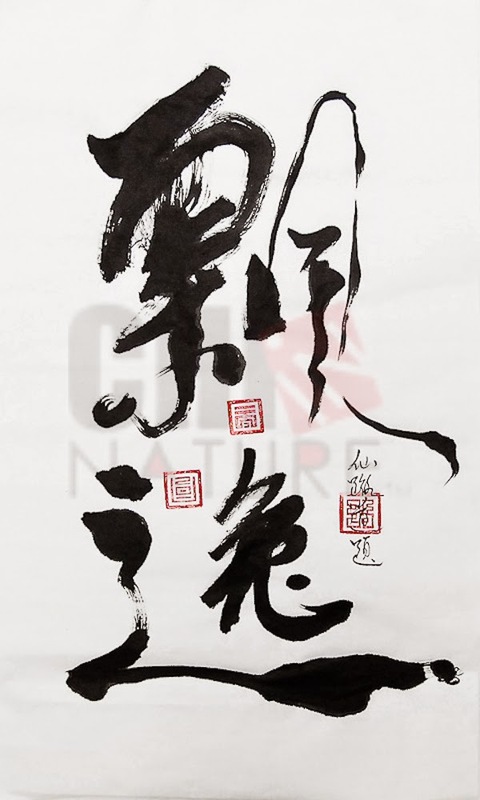 There are many things in Chinese Calligraphy that the western culture does not know yet, and so you are missing the ABCs and 123s to understand this form of art. Here we will layout the foundations and basics, so you can understand it better, or even better than most Chinese today - because they only know how to read the words, but you can read, see, hear and feel what's embedded inside. All the Chinese calligraphy artwork starts with the four treasures - paper, brushes, ink and ink stone. Oh, right, and water. How come people don't list that in the "treasure" list? Without water, the ink and ink stone is useless too! Let's make it five treasures today! Paper is often referred to the Chinese rice paper 宣紙 (Suen Jee in Cantonese). They are often made of rice, or cotton, or other mixture of this and that. In general, they are often white, but can also be in many other colors, texture, thickness, or even sprinkled with gold flakes, with watermarked drawings, and many other things. As our technology advances, people come up with many fancy ideas and so we can now have many fancy options and consistent quality paper to use. Some cheaper ones can come in a stack or a roll, which cost you about $5 a roll of 10 long sheets. The pricy ones such as the 3-ply cotton paper can cost you about $10 USD for a 7feet by 38 inch sheet, HOLY SHEET eh? The real artist will study the different types of paper and use the type that suit their artwork the best, and that is a LOT of experimental work to be done in their own "laboratory"! Paintings with a lot of water and ink will require a stronger and thicker paper to survive the torture and so the paper will not be torn or broken by the artist's brush. There are textures that is a bit more ink and moisture repelling which gives the ink a better flow and control, which is better for text, with a sharper and cleaner edges on the strokes. You can see that it is about what paper to use for what purpose, and not just find the best paper you like the most. Brushes can be as cheap as $1 and up to one for hundreds and thousands of dollars depending on the maker and the materials used. Most brushes are still made by hand today, but some are made by kids or cheap labor in some unknown factories, some are made by skilled masters who know what they are doing. My golden advice is - NEVER buy cheap brushes in the bookstores, because they will never work and they only have the power to ruin your learning experience. These brushes are made with some unknown blend of "hair" and poorly assembled. Never trust the cheap stuff! Good brushes or those that are at least usable, are often found in specialized art stores, and often have the maker's name on the brush. These brushes can cost from a few dollars and up. Not that you need to look at the price tag all the time, but it is often the case that good brushes or functional brushes are often $3 and up for a small brush. Trust the price tag, they are often there for a reason. There are many types of hair used for these brushes, but it is always from animals, and specifically picked from a certain PART of the animal. Some brushes have a mixture of different animal's hair too. The basic ones can come from sheep, wolf, rat, horse, squirrels and many other animals. Some hair is stiffer and harder, giving the brush more bounciness, and flexibility - while they lack the ability to hold absorb and hold ink. Some hair are soft and they absorb the ink juice very well - while they lack the strength the bounce. With a blend of the two, there goes a combo brush with the inside that soak and hold the ink, and outside that bounce and flex. Way cool! Just like the art of sword making, blending steel that bends and steel that is hard, sandwich them and there goes the famous "San mai" steel blade that is tough and flexible at the same time! The ink is not like paint, and it is not just a black colored liquid. In fact, ink are not even in liquid form, but a solid form! When we refer to ink, it is often referring to the "ink sticks", which are made from a mixture of smoke (from burning pine), some sort of starch, herbs and some other special ingredients. These ingredients are pressed and mixed together by a big machine (or hand.... ) And turned into a very tacky paste, and these pastes were then pressed into molds and compressed, hardened and smacked out into blocks of ink sticks. These ink sticks are often edible too, but I don't trust China today for their "ink sticks"... so I will avoid trying to eat them. Those that are made by small factories in Taiwan are legit though. They often use ingredients that are in their traditional recipes, which are all edible. Good ink sticks are not stinky, and they produce a nice smell when grind onto the ink stone. Cheap ink sticks will scratch your ink stone up, and might not even produce ink for you! Some cheap ink sticks you can buy in those Chinese "dollar stores" are often very poorly made to the point that they can just damage your ink stone right on the first day of use! It's scary how quality can make a bit difference! Talking about ink stone, there is also a big difference between the REAL functional ink stone, and the ones they sell for display or even for kids to play with. The ink stone that is really meant for use, are what we will use for calligraphy work. These real deal are no where near cheap at all. A small 4 inch circular ink stone with NO designs or engravings can cost you $100 and up. What's so special about them? The stone! The type of stones used are extremely tough, and dense, and so they can make ink for you easily and not "drink" all the ink up before you use them! Imagine a bad ink stone that have trouble in making ink for you, and after 50 minutes you got some ink going, but the stone absorbed it all in 5minutes while you are going for a washroom break....! There is a metaphor - the ink is like soap, and the ink stone is like a knife. You have to literally SHARPEN your ink stone from time to time, to make sure that your ink stone can produce ink effectively and efficiently! Getting a real deal ink stone is not easy, but knowing how to use it is not easy too! When you just got your ink stone in the mailbox, it is not a "open and use" kind of thing. The first thing you need to do is to wash off the layer of WAX that is on the surface of the stone (for protection and preventing it from drying up and cracking during storage). To do that, you can use some toothpaste or some hot water to rub the surface and remove the layer of wax on top. After doing so, you will have to sharpen your ink stone the first time, so that it is ready to be used. To do that, you will need a special block of whetstone that is specially sold for doing the job. With some water, you grind the whetstone in circular motion ont he ink stone and keep grinding for a while until the surface feels smooth. Now your ink stone is sharpened, it is then ready to be used! Thanks to technology, we now have bottled ink juice! No grinding required! There are pros and cons though. The bottled ink juice is often very poor in quality, and they smell bad. If you want good quality bottled ink, they can cost $50 a bottle and up! Compare to the ink sticks, it's like you want to pay this one way or the other. Money or effort? Good bottled ink can be very flowing, smells great, and works great, but cost a lot more than you can imagine. So now we have our four "treasures", we can get on with a piece of calligraphy artwork! With the gears prepared, you must also have a properly setup workstation. With a piece of felt as the table cover, it prevents your watery and soaking wet paper to stick on the table. The ink and water will penetrate the paper, and it will stick on to the stuff below like glue! If you are using a lot of ink (tacky), it will glue your artwork to the table in no time if you don't have anything below your painting. There is a special kind of fabric you can buy in the art shop which is almost water and ink resistant, and they are the best thing you can get for this task. Wow, you never know it takes so many things to even "start" your painting session eh? With a brush, ink and water, you can basically do many things on the paper. From text to drawings, and maybe even doing experimental artwork. Whatever it is, you will come to a point where you will say this it finished, and your artwork is done. Wait, that is not completely done yet, not without your signature! In Chinese calligraphy, we do not sign our name often, but we will use a stamp to sign the artwork! The color of the stamp is often chosen for a reason. It can be just a simple red color stamp, or it can be even in black, blue, white, green, yellow, gold and many other colors. 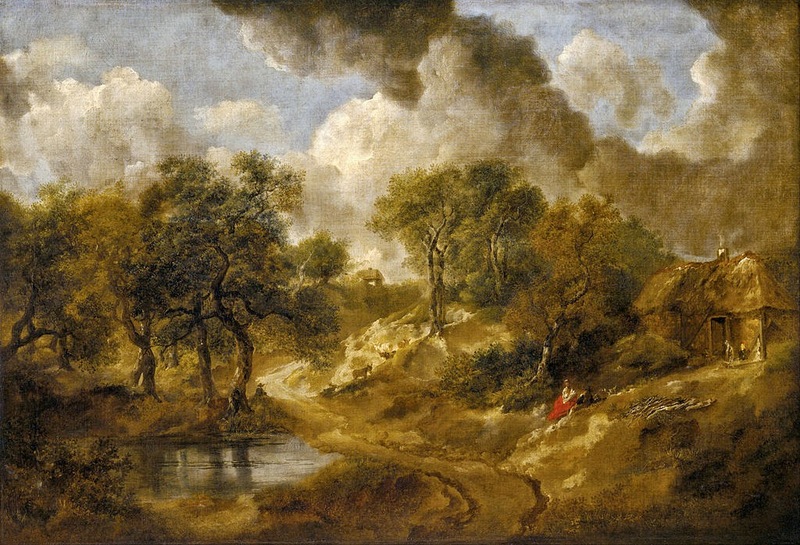 In the past, colors can be chosen for a specific purpose, or it can be chosen just because it gives a bitter contrast to the artwork. Imagine stamping a white stamp into a very big blob of black ink. It looks very cool! Some stamps will also be done in other color to show respect. 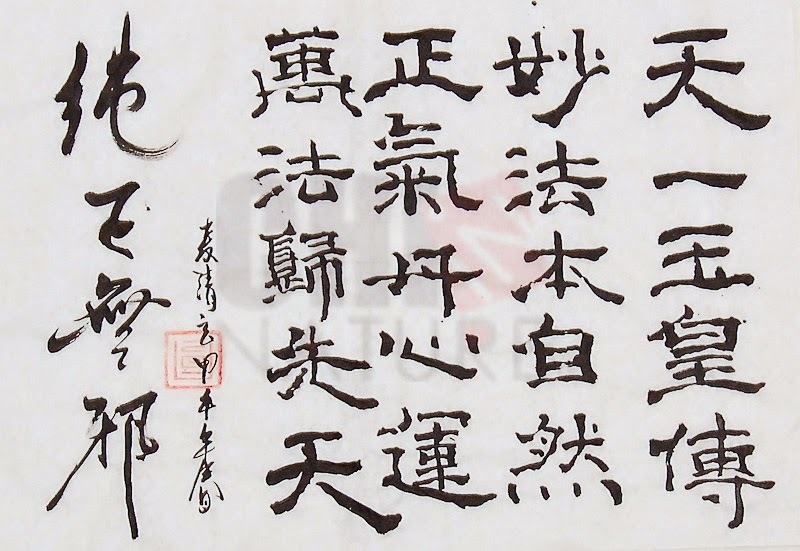 Such as a calligraphy artwork for a funeral must NOT be stamped in red, but blue or black or white only. It's a cultural taboo thing, and showing red in a funeral is very rude. To the outsiders, it might be just a color, but the feeling you give to the family who receive the artwork is totally not what you want! A little difference can make a major impact! Beside the color of the stamps, the material used for the stamps are often critical too. Stamps can be made with stones, wood or metal, or eve other materials. In the ancient time, the authorities have their stamps made in gold or jade, to show off their wealth, and also make sure the stamps are tough and will not be damaged easily. The seals of the king are often made with jade and metal or gold, which makes it fancy and pricy, but also durable and long lasting without any chance of chipping, deform or whatever chance of damaging or deforming. 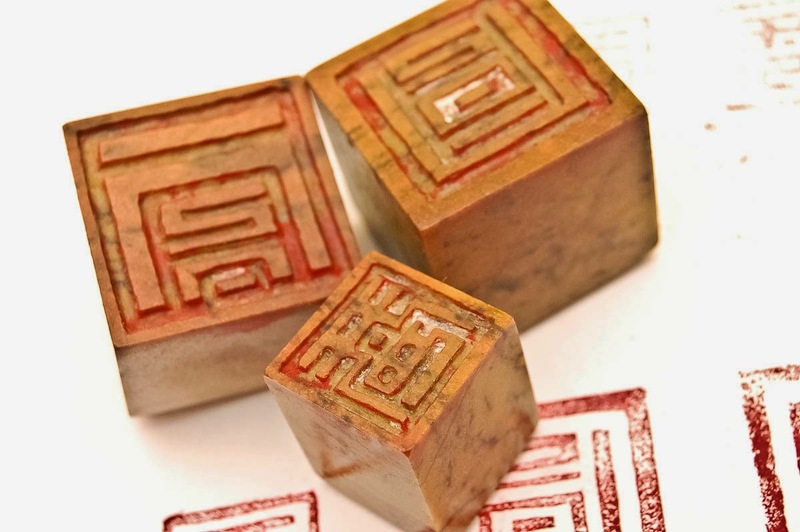 Nowadays, we will often just use soap stones or other stones to carve our own stamps. It can be simply carved by hand using a set of stamps carving knives, or if you are the smart ones, you will be using a dremel (a power tool) which makes life so much easier...! Where to stamp is also very critical! As we now know that the stamps are like the seal of the artsit, the signature or the "proof" of the signature, we must know where to stamp so that it make sense! Stamping can be done in random places to "balance" the painting, or it can be done in a logical order and placement such as stamping over the name, the date, or the sign-off line, etc. For the professionals, stamping process is very critical, because stamping it wrong can ruin the whole piece of painting, and many hours of hard work can be ruined. Stamping the stamp on BAD quality paper can also lead you to damage the painting and rip the paper too! Imagine stamping hard on a painting that is sort of still wet, and the paper is just not thick enough to withstand the stress. The stamp will stick to the wet paper and cut out a chunk of the paper along with the stamp's edge and there goes your torn piece of artwork. It takes a lot of practice to learn where to stamp, and HOW to stamp properly. We don't stamp like how the custom stamp your passport, that's gonna kill your painting dude! Now that you know about the basics and all the gears, it's time for you to go and explore the art shops! Grab some tools, and start your magic on the paper! There is nothing such as "wrong" in the first stage, just take your brushes and ink, fool around like a kid and experiment all kinds of effects on the paper. Learn from testing, trying and don't worry about F-king up anything and you will learn your way to mastering Chinese calligraphy! Hope you like my little introduction to Chinese calligraphy! If you would like to see some in action, feel free to watch my demonstrations on YouTube! "http://www.youtube.com/Chiinnture " - See you there!